Police have been actively searching the coastline in and around the area where Park's car was found. 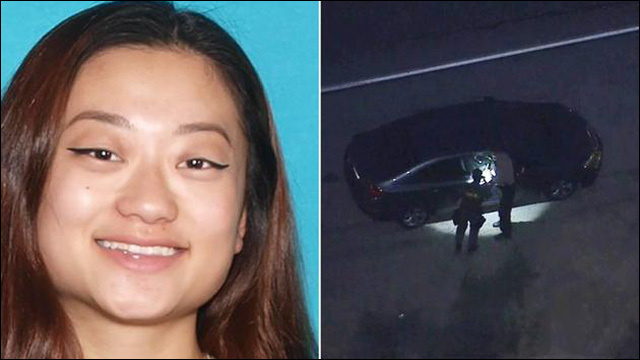 There is no evidence of foul play, and no one is currently a suspect in Park's disappearance. 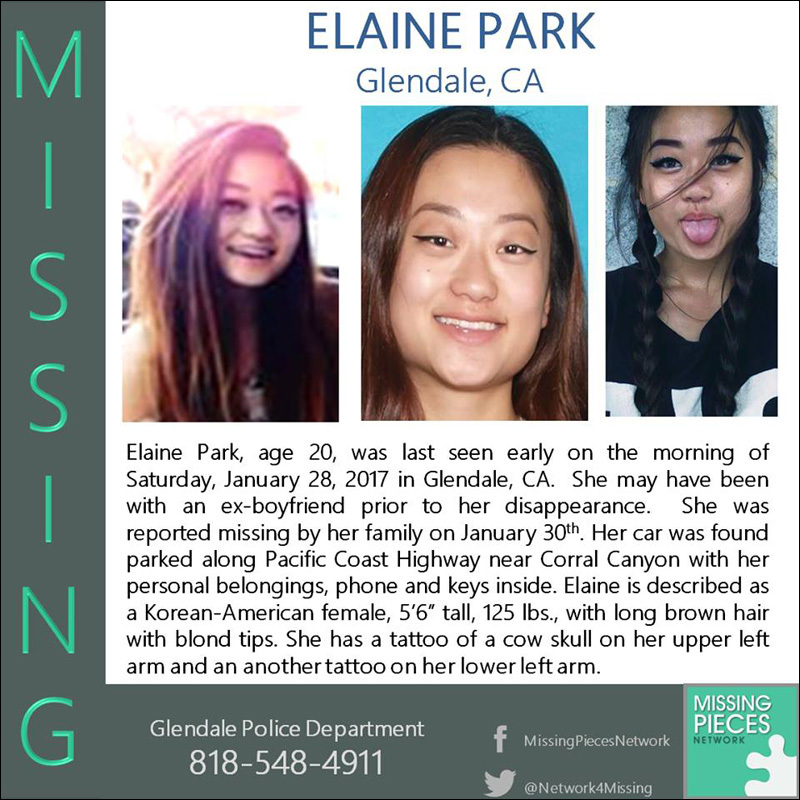 According to Glendale Police, her status is now "critical missing." Park is described as Korean American, 5-foot-6, 125 pounds with a thin build, long brown hair with blond tips and brown eyes. She is known to where heavy mascara and make up and has a tattoo of a cow skull on her upper left arm with another tattoo of an unknown design on the lower half of the same arm. Anyone with information is asked to contact the Glendale Police Department at (818) 548-4911.